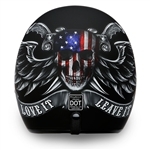 Our selection of the best lightweight open face motorcycle helmets in a variety of colors & patterns. 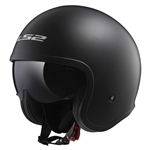 Open face helmets are sometimes called 3/4 helmets or retro style and are ideal for many different types of motorcycle riders. 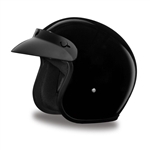 This versatile helmet can attach a visor to help cut the wind and sun or can be worn visor free with a pair of goggles or riding glasses. 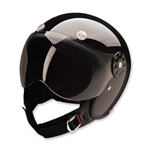 All of our open face motorcycle helmets are DOT Approved for safety. 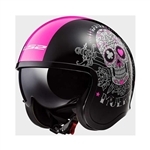 Check out our new retro pink glitter half helmet with removable visor that is lightweight, cute and comfortable. 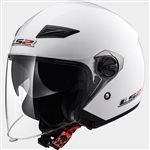 Buy local in our Pennsauken NJ location, try on for size and get the perfect fitting helmet.